Euro formed an ascending impulse and corrected it. We think, today the price may form the second ascending impulse to break level of 1.2910. Later, in our opinion, the market may form a consolidation channel and an ascending continuation pattern towards level of 1.2980. 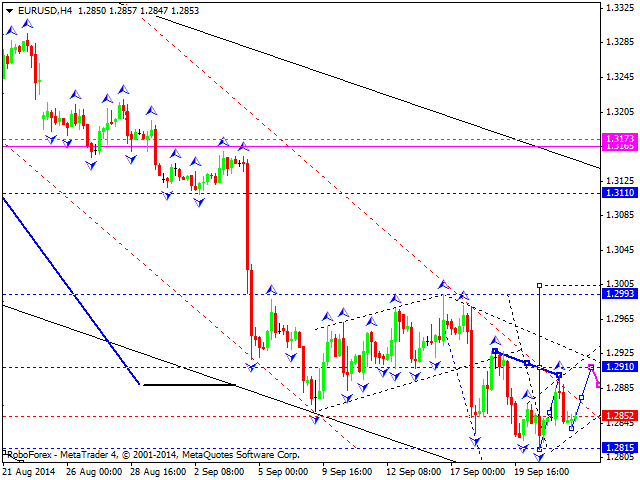 After that, the pair may fall to return to level of level of 1.2940. 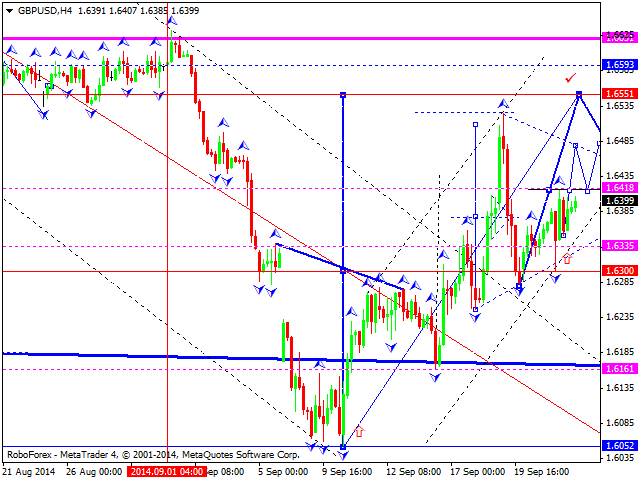 Pound finished the first wave inside the fifth one and corrected it. We think, today the price may grow to break level of 1.6400 and then form a consolidation channel as a continuation pattern. Later, in our opinion, the market may grow towards level of 1.6550 and then return to level of 1.6300 (as a correction). 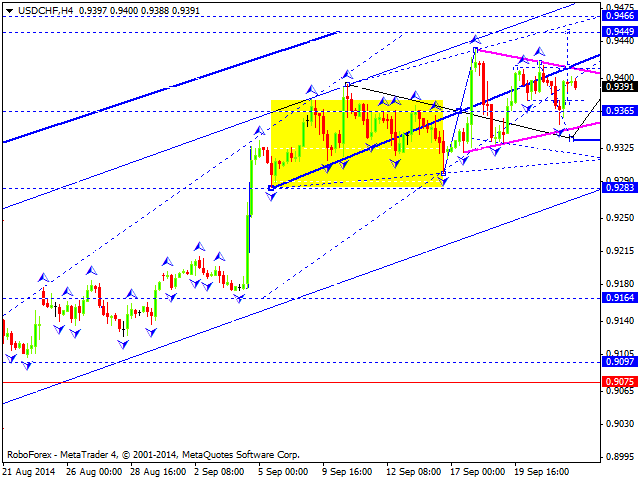 Franc is still forming a consolidation structure without any particular tendency near the top of its ascending wave. We think, today the price may fall towards level of 0.9340 and then complete this ascending wave by forming another ascending structure and reaching level of 0.9450. Later, in our opinion, the market may form a reversal structure to continue forming a descending wave. Yen formed the first descending wave and corrected it. We think, today the price may form another descending structure, the second one, to break the minimum of the first wave. 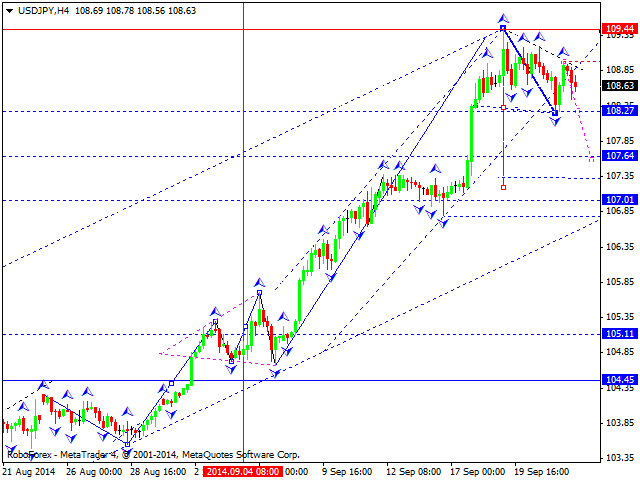 The pair is expected to form a continuation pattern and reach level of 107.60. Later, in our opinion, the market may return to level of 108.40 to test it from below and then fall inside the fifth wave with the target is at level of 107.30. Australian Dollar is still moving downwards. We think, today the price may test level of 0.8930 and then continue falling towards level of 0.8800 to complete this descending structure. 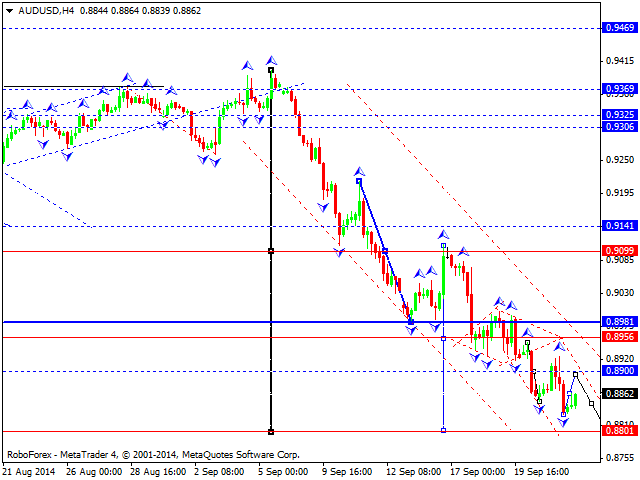 Later, in our opinion, the market may start a higher correction towards level of 0.9100. Ruble attempted to form another ascending continuation pattern. 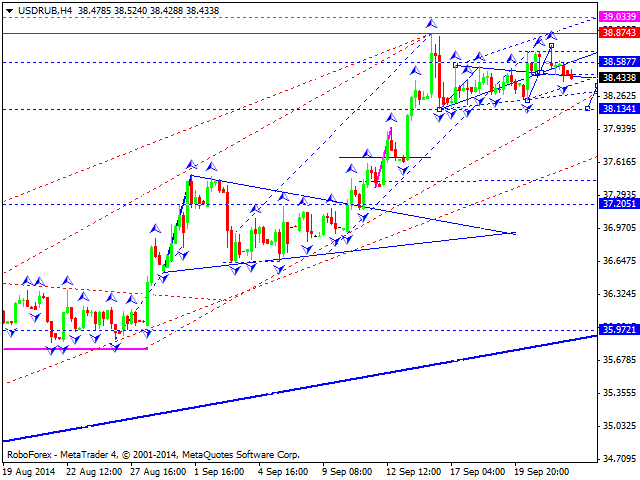 However, after breaking it downwards, the price may fall to reach level of 38.08 and then return to level of 38.50. Later, in our opinion, the market may start another descending wave to reach level of 37.00. 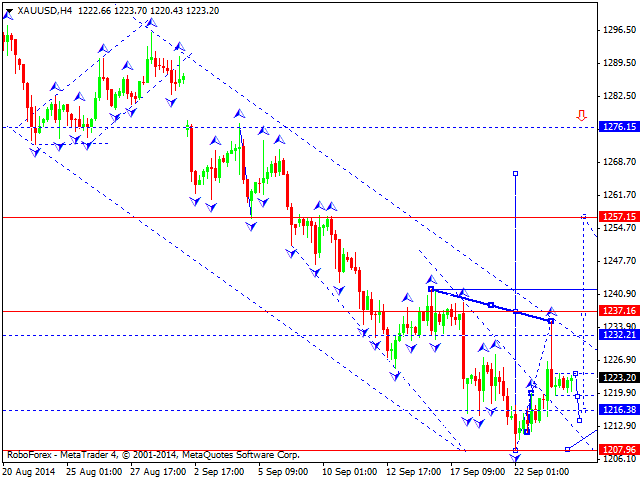 Gold formed an ascending impulse and right now is correcting it and forming a consolidation channel. We think, today the price may continue forming another ascending wave to break the top of the first impulse. The target is at level of 1257. However, we don’t rule out the possibility that the market may try to leave this consolidation downwards to reach level of 1216 and only after that form another ascending structure.